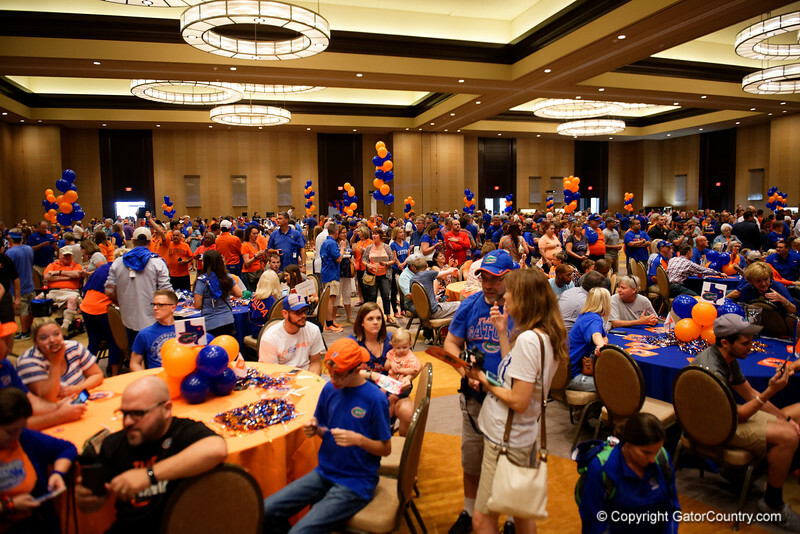 Florida Gators fans cheer on their team as the University of Florida Gators host a pep rally at the Omni Hotel the night before the Gators take on the Michigan Wolverines in the 2017 Advocare Classic. September 1st, 2017. Gator Country photo by David Bowie.